Shaped ring design, greatly enhances thermal performance, reduces fuel consumption and heating time. Super lightweight aluminum, hard anodized finish, wear resistant and corrosion resistant. Silicone cover, reaches food safety standard. Small in size and portable, can be stored in mesh bag. The AGU Milena is a cycling singlet made of breathable, moisture regulating Summerit Light material. It is very comfortable to wear thanks to the loose fit. 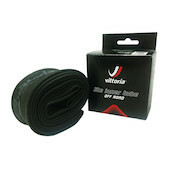 Extra supple, thinwall butyl inner tubes from Vittoria. Individually hand inspected and tested.